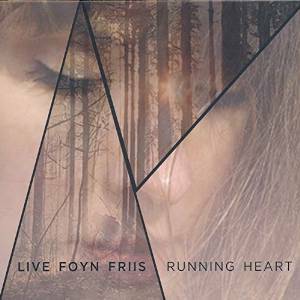 I have enjoyed Norwegian born, Denmark-based singer songwriter Live Foyn Friis’s charming, quirky voice (it is clear and natural with a delicate vibrato) and poetic lyrics for a while. The fact that she continues with her top notch band on her albumRunning Heart is an added attraction. She is joined by Alex Jønsson on guitar (and Thom Yorke-like vocals too), Jens Mikkel on bass and Andreas Skamby on percussion, with layers added by a cello (played by Maria Isabel Edlund), kalimba, organ, additional vocals and a euphonium. The wonderful thing about Scandinavian jazz-pop-electronica is that they are not afraid to play under-used instruments like banjos (in this case, a euphonium and kalimba), and the catchiness of tunes disguises complex interesting music which belies the label “pop”. Her band all played with great gusto and joy on I Think You’re Awesome and do so again here with her.